So sorry, I forget just how busy I am this time of year. I plan on getting everything caught up by tomorrow. Before you do anything else, you will want to sweep and shake out your door mat (if you are using an old one). 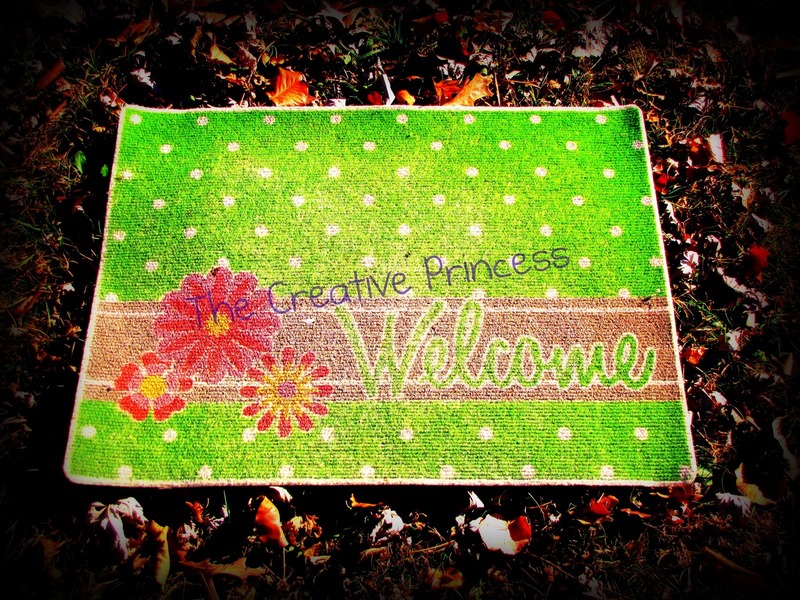 In this tutorial I am using my doormat I have had since spring! Isn't it cute? 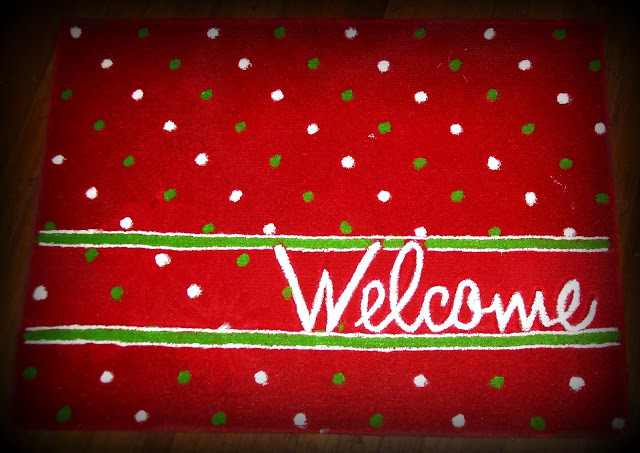 If you will be using an old doormat that already has a design on it you WILL want to primer the mat first. I did not do this and you can still see the design a bit. Once primered and completely dry you can paint with color I choice. My main color is Red, I used 2 cans of spray paint (if I would have used primer I would have probably only needed one). Allow to thoroughly dry. Pick a design you like and start painting! I was going to put Christmas trees on mine, but since you could still see polka dots and daisies I just made due. Make sure you are using paint made to use outdoor! You will be walking on the mat and you don't want it to look warn after the first person walks on it. Once mat is totally dry, place in front of your door. That's it! SUPER easy and SO cute! Not much different from the before but I like it.